The upside of recovering from this knee op is having time on your hands to do things, like draw. 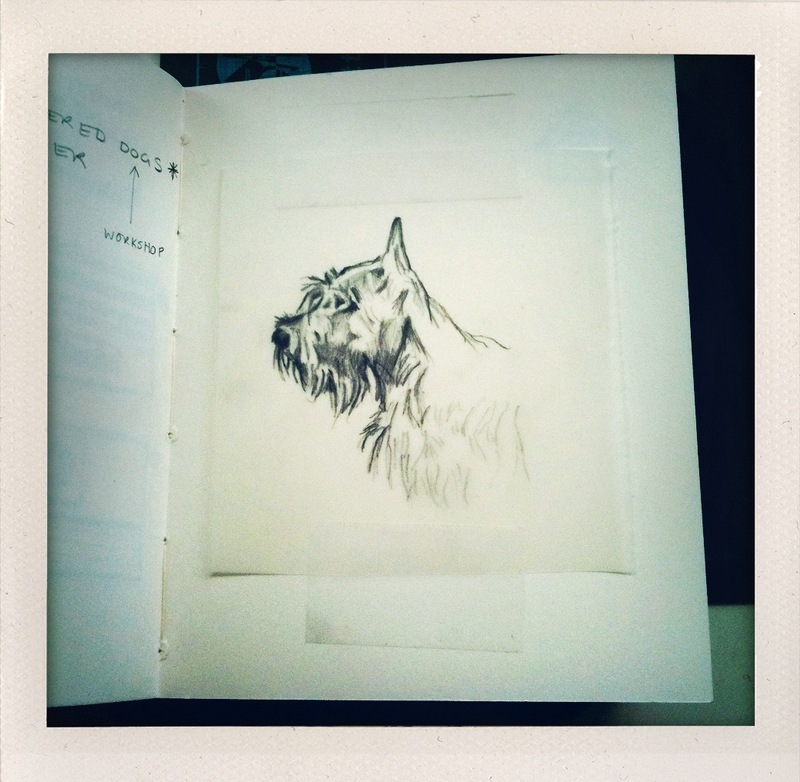 This is one of the sketches I used to get the head right on a new Scottie embroidered cushion. Nothing like this in the end, but drawing helps to understand the features. I’ll post a picture of the cushion soon…..